This interview was published in the June 2016 issue of Man and the Economy journal, founded by Nobel Prize winning economist Ronald Coase. For access to full text, subscription to the journal or payment for the individual article is required. Geerat J. Vermeij is a Dutch-born professor of geology at the University of California at Davis. Blind from the age of three, he graduated from Princeton University in 1968 and received his Ph.D. in biology and geology from Yale University in 1971. An evolutionary biologist and paleontologist, he studies marine mollusks both as fossils and as living creatures. He started writing about his Escalation hypothesis in the 1970s. He received a MacArthur Fellowship in 1992. In 2000 Vermeij was awarded the Daniel Giraud Elliot Medal from the National Academy of Sciences. 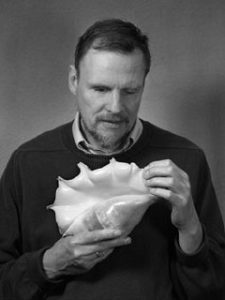 His books include Evolution and Escalation: An Ecological History of Life, A Natural History of Shells, Privileged Hands, Nature: An Economic History, and The Evolutionary World: How Adaptation Explains Everything from Seashells to Civilization.